It’s been about six years since I last backpacked and it’s no coincidence that my oldest will turn six this summer. For about a year I have been wondering what it would be like to hit the trail for an overnight backpack trip with him. Well now I know….and it was a lot of fun. For us both! So what did I learn? I am sure most of this seems obvious, but here you go…. 1. Pick a short trail that gets you away from the car. We hiked up at Point Reyes National Seashore and camped at Coast Camp. It’s about a 2 mile trail — with a gentle incline up and over a ridge before you drop to the coast. It was perfect. Lots of interest along the way to keep a young lad engaged. 2. Select a campsite that has space to play in and around. We were lucky — we had miles of sandy quiet beach a hundred yards from our tent door. There’s nothing like a beach to provide endless hours of fascination from building sandcastles to exploring tidepools. 3. Kit out your young camper. Too often I see some dad stride past with the latest gear on, followed by a kid in uncomfortable boots carrying a bag that is way too big. Get real! If it’s uncomfortable for you, it will be uncomfortable for them. REI has some great equipment for smaller campers — a well sized pack meant my son actually carried his own clothes and snacks and enjoyed it! The emergency whistle on the pack was the added bonus. 4. Keep it simple and get organized. While I would have loved to carry in fresh food and made a gourmet meal, part of the fun was picking out our freeze-dried foods together. Not only did we spend less time cooking and cleaning up, but it was so different as to be interesting itself! I am sure some people do this anyway, but I made doubly sure that everything we took was well organized in countless ziplock bags so I could put my hands to anything we needed. We also cheated on our beach-fire s’mores — buy biscuits that have the chocolate coating all ready to go! 6. Remember that small bodies get cold quickly. I was reminded by a shivering boy when I was still warm. My down jacket dwarfed him, but he warmed up quickly! 8. An iPhone is a great travel companion. While it was a game machine on the drive to the trailhead, not once did my son ask to play a game or watch a movie while on the trail or at camp. Instead it became our camera, plant guide, star chart, and timer for preparing freeze-dried foods. I had a blast. And more importably, so did my son. We’re already planning our next trip. He’d like to take his three year old brother and go for two nights…..and I am starting to wonder whether I can carry an extra sleeping bag and bed roll! Anyone got pointers for backpacking with two under six? Has Muir Woods become Disney Land? On yesterday’s KQED Forum about places to get outside this summer, Michael Krasny made the off-hand comment that, “Muir Woods has become like Disney Land.” His tone led me to believe that he didn’t mean it was vying to be the happiest place on Earth. Well Mr. Krasny I would like to take issue with that! 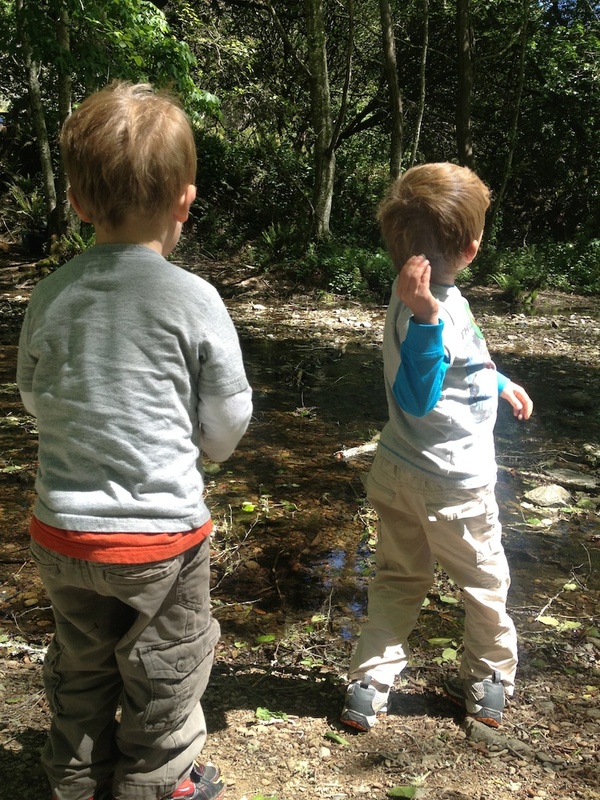 Muir Woods: The happiest place in the bay area? Ok, I haven’t been to Disney Land for perhaps 20 years. But I remember enjoying it greatly — despite the crowds, nausea inducing tea-cups ride, and fake smiles — I had a great time. As it happens I was in Muir Woods last week with my three sons for spring break. Yes the parking lot was full, and yes there were plenty of people in the woods, but to me Muir Woods soaks up people and gives each of them a memorable stay. I sometimes think that every nation on Earth is represented on those boardwalks — and while I might not know what they are saying, I can tell from the tone of their voice and look on the face that they are creating a memory to last a life time. Those of us who live in the Bay Area can get jaded and overlook what an incredible place it is. Where else can you see ancient redwoods, tiger lilies, spawning salmon, and unusual albino redwoods, and get a great grilled cheese? Working with Save the Redwoods League for 15 years, I visited Muir Woods dozens of times and never tired. And as you can see, I even go on outside work to enjoy it with family and friends. Here are a few simple tips to help you enjoy it. 1. You’ll find fewer people during the week and before the tour buses start arriving around 9:30 am. Get in their early for a walk and then go and have breakfast! Or go late as dusk draws in. 2. 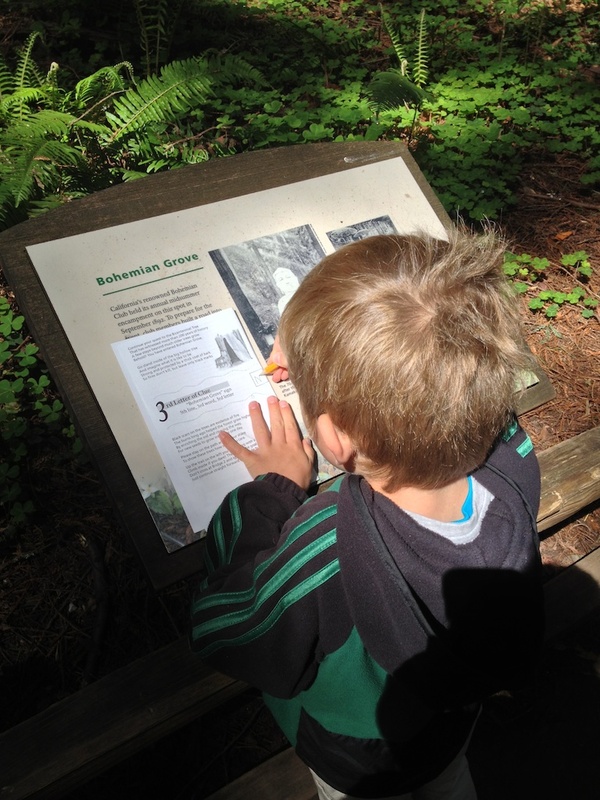 There’s a great adventure Quest that will keep kids 5-95 occupied — just ask for it at the kiosk! You’ll soon be skipping through the woods and looking for goose-pens while you learn about the natural and cultural history of the place. Kids love the treasure box at the end. 3. If you like to walk and don’t mind some serious uphill, take the back route into Muir Woods. Park by the Deer Park fire road and take it to the top of the park through meadows and a fascinating old burn area. Then drop into Muir Woods on the Ben Johnson Trail. You’ll be on your own most of the way! 4. 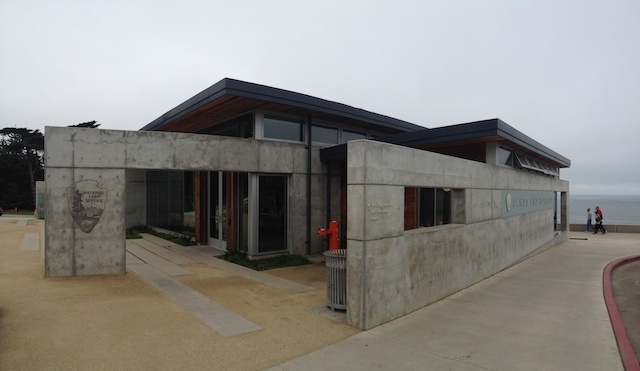 If you’re going on the weekends, ride the shuttle from the Pohono park and ride off 101. 5. The concession shop turned over recently and now does a great grilled cheese sandwich. I am told that some people go just for the grilled cheese! So Mr. Krasny, let’s go take a walk in Muir Woods — the happiest place in the bay area. I’ll even pick up the tab for grilled cheese. A recent study from UK reported that living in and around green space is good for us — something that I think many of us know intrinsicly. According to a BBC article on the report, it had a tenth the effect of being employed (or presumably unemployed as well). It had me thinking, is all green space created equal? Some of my recent experience says, NO! 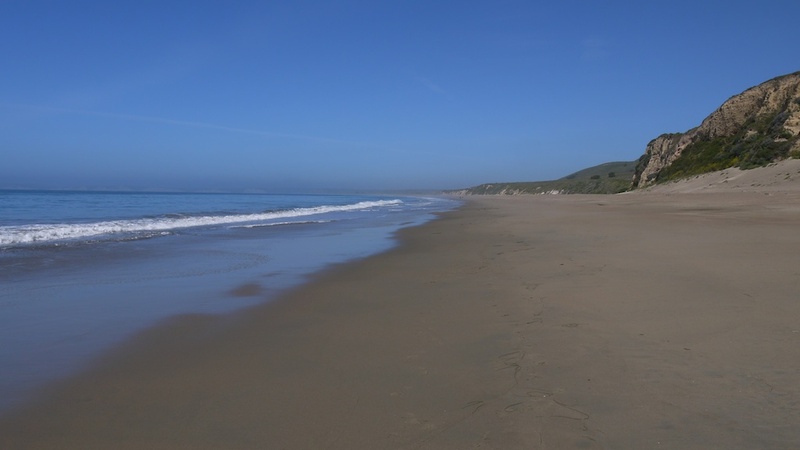 In the past week I have hiked on the beach at Point Reyes National Sea Shore, and closer to home walked along the shoreline at Point Pinole Regional Park. 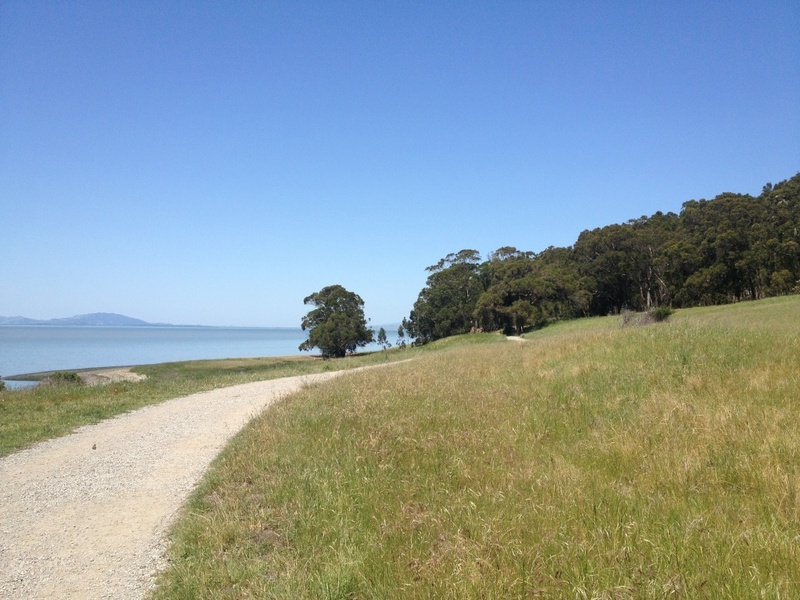 Both are shorefront parks, both offer green space close or within the Bay Area. But the differences stop there and my body noticed it before my mind digested it. After a few hours on the beach at Point Reyes I was relaxed and calm — the loudest sound was the rhythmic crashing of the waves and the backdrop was the grassy bluffs punctuated with lupins and poppy. A similar time at Point Pinole left me on happy to have been in the sun, but on edge. The primary culprit was the distant firing range with gunfire punctuating my walk. And the backdrop was invasive grasses, ivy and fragrant Eucalyptus. Leave aside the rhythmic gunfire from the range, the entirely non-native backdrop just doesn’t feel as good to me — call it the curse of knowledge. A walk in the local park is great, but lets hear it for our large wild spaces where we can truly relax and connect with something bigger. Day two of spring break — and we moved the adventure from Cal Academy and Golden Gate Park to Muir Woods. A place I have spent many hours and never tire of. Each time I go I discover something new. It constantly amazes me that a place essentially surrounded by the hubbub of the Bay Area can feel so quiet and peaceful — even with tour buses disgorging countless visitors each hour. What you may not know is that Save the Redwoods League worked with staff at Muir Woods to create a fun Quest that guides you around the woods — essentially a poetic treasure hunt that has you counting posts, looking for different plants, exploring goose pens and even skipping through the woods all while learning about the redwoods that tower above you. 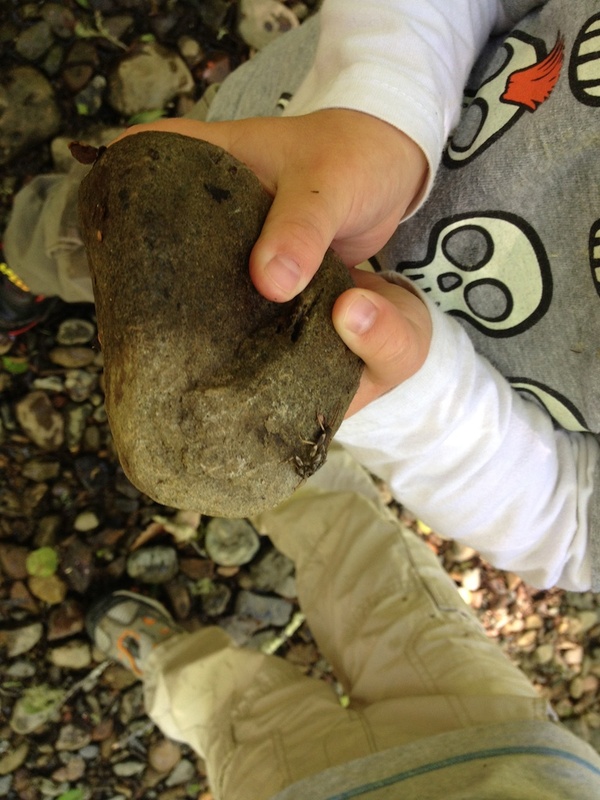 It was a perfect way to distract two boisterous boys — with the promise of treasure hidden at the end of the trail! We paused by the creek right by the parking lot — a place few people visit and where even fewer stay — while we hunted for life in the creek. It was wonderful to see the tiny fish dart around us. 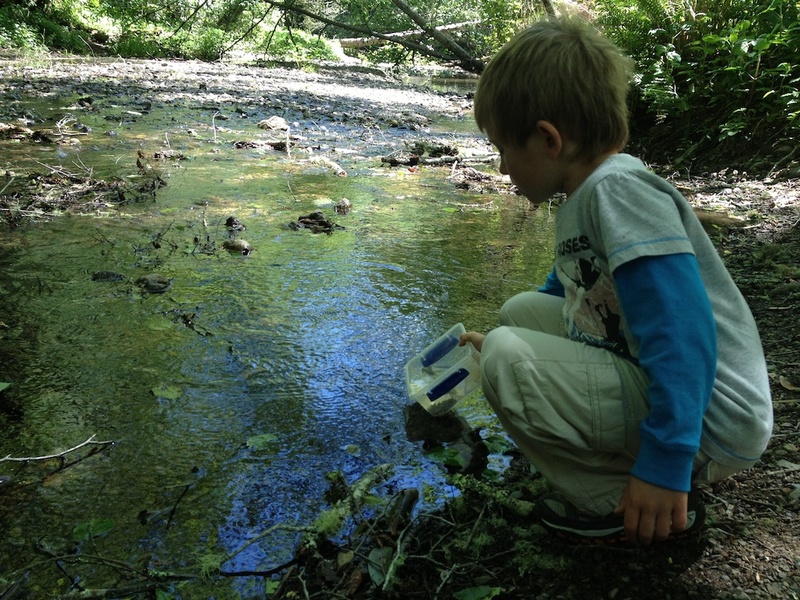 And for once the kids went beyond just picking up rocks and throwing them in the water, to examining each rock for aquatic bugs before they threw them in the water! 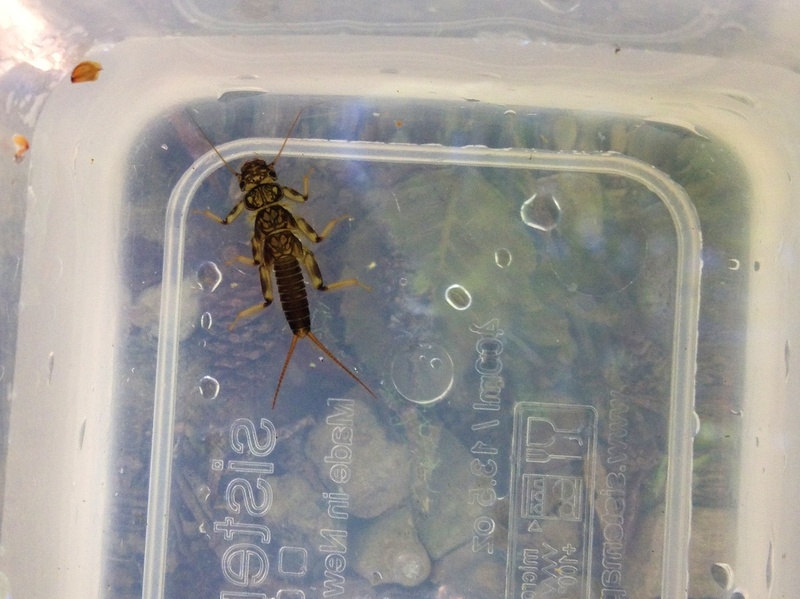 They found countless creepy crawlies and were only disappointed that the water skater remained aloof and refused to be caught and placed in our bucket. Next time we’ll bring a dipping net — so watch out bugs! Perhaps a dragon fly nymph? One of the first national parks I visited shortly after moving to the Bay Area was Yosemite. Five of us crammed into a hard-sided cabin and enjoyed the park in winter. Since then I have been back many times: sleeping variously in the Ahwanee, Camp Curry, the Yosemite Lodge, Wawona Hotel, various campgrounds and most memorably on a granite slab under the stars on the banks of the Tulumne River high in the meadows. I’ve hiked and biked and skated and skied and snowshoed and played in the river. I’ve visited in late summer when the falls are a dusty trickle, in spring when they blast you with spray a mile away, in autumn when the leaves turn golden, and in the winter when the sequoia are blanketed with thick snow. I love this park: its truly magical. 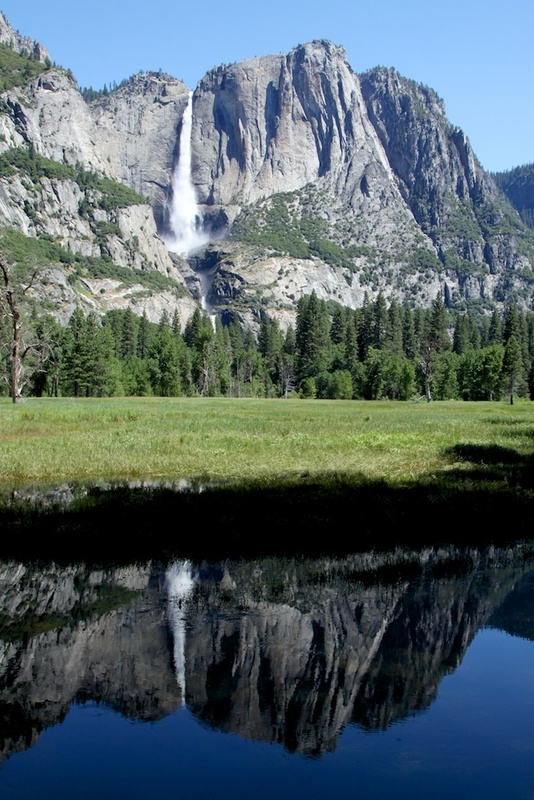 Since Yosemite became California’s first state park in 1864 it has also been at the center of the debate about how we manage park land to ensure preservation while allowing continued use. In fact, the state did such a lousy job at protecting the valley and mariposa grove from damage from commercialization, grazing, logging and and un-crontrolled use that the Federal Government took it back in 1890. In many ways, the current debate about the future of the valley and the meadows, playing out through the recently released Merced Wild and Scenic River plan rehashes familiar territory. The good news is we are now focused on restoring the damage of the past by removing volunteer trails that threaten meadows, the rip-rap that impairs the natural flow of the river, and pulling back campsites from the rivers edge. But I fear that in some ways we are going to0 far in removing the amenities people enjoy when they come to the park. 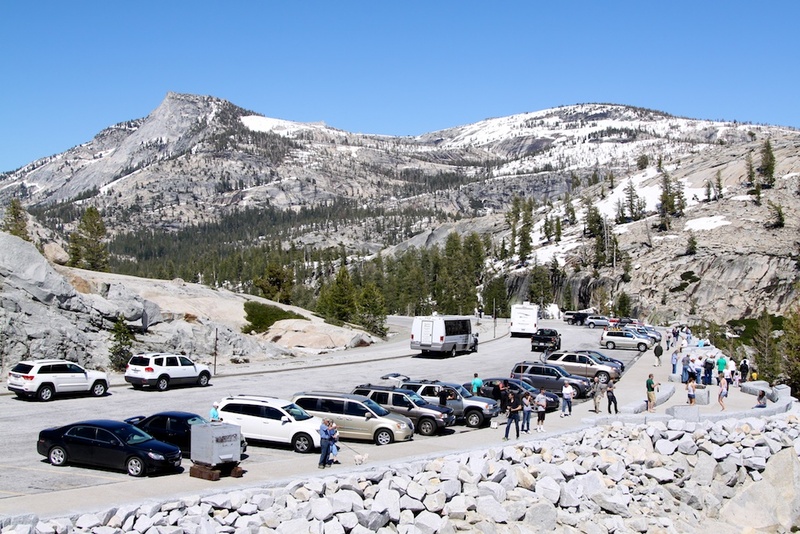 Does it serve the park in the long-run to have fewer people visiting the backcountry and staying in the High Sierra camps? What if visitors can no longer rents bikes to enjoy a circuit of the valley? Or take a horseback ride for an afternoon? Or purchase drawing supplies to make a sketch of the towering granite domes? Or miss their one opportunity to float the Merced River as they fail to secure a permit in advance? My personal feeling is that these changes have a marginal impact on the natural resource and have a major impact on the visitors enjoyment of the park. And over time, that risks eroding support for the park and societies understanding of wilderness is. The myth of wilderness is just that. Wilderness is a human construct that has always included a place for people. And national parks by there very nature are places set aside by people for the enjoyment of people. I believe we need to find ways of inviting people in and making their visits engaging and informative. And that means providing them simple amenities so they can enjoy the park in a way they chose. This doesn’t mean opening up the backcountry to all comers — Yosemite is vast and will always have places beyond the reach of 99.9% of visitors. But to deny the 99.9% the ability to cycle the valley or float the Merced or perhaps get a coveted lottery spot for a High Sierra Camp is simply short sighted. 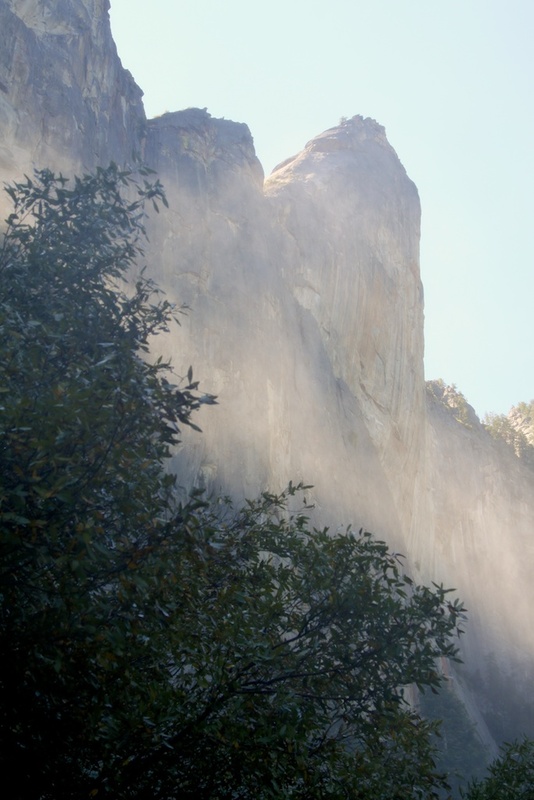 Yosemite has many examples whereby we’ve protected resources and provided enhanced public use — witness the renovations to Yosemite Falls, Glacier Point, and Olmsted Point — interestingly all funded through a public-private partnership with the Yosemite Conservancy. It’s time to take this energy and get creative and forge a Yosemite that showcases both excellence in resource protection and public use.